A game made for the February 2018 Pizza Game Jam. Slide around on ice. Avoid the laser and try not fall into the water! Funny enough, the development of this game started a bit late into the jam. It took about 12 hours to complete. Ah! Yes! I noticed that after I published the game, I was so bummed! (Trust me, it bothers me too) Maybe post-jam I can add a keyboard feature for the home menu? The concept is small, but you're really selling it with the graphics and the logo! Thank you! 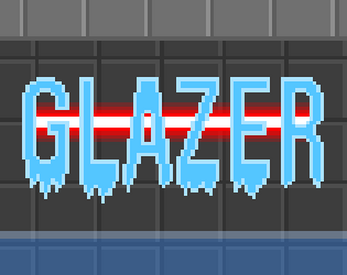 I could possibly add more gamemodes, and maybe add more hazards (like the laser and water). Anyways, thanks so much for leaving a comment!